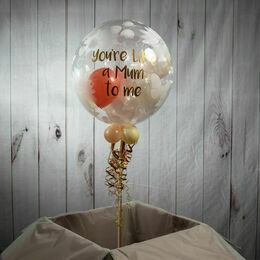 Show your Mum how much she means to you on Mother's Day with this personalised bubble balloon you can customise yourself, filled with nine smaller balloons in your choice of colour scheme. You can also add a message to the outside, making it an extra special gift to show how much you love her. We inflate a 20" spherical clear plastic balloon and then insert your choice of colours inside, which are then inflated to create a wonderful effect. 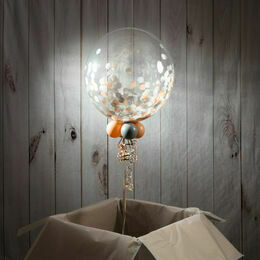 To finish we add four small balloons to the base of the balloon and add colour co-ordinated ribbons and a weight. 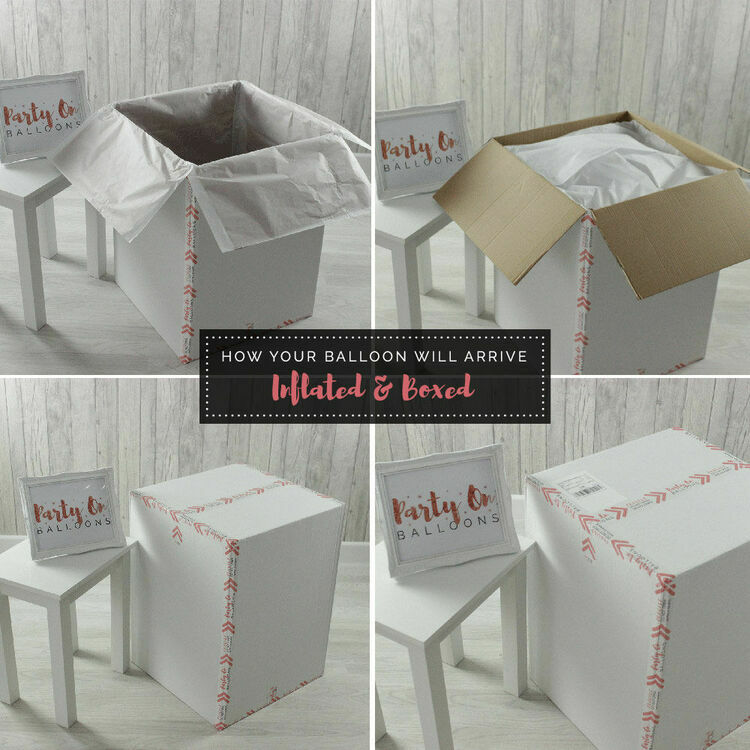 The balloon is ready to float out of the box on Mother's Day and will last, on average, between 2 - 3 weeks.